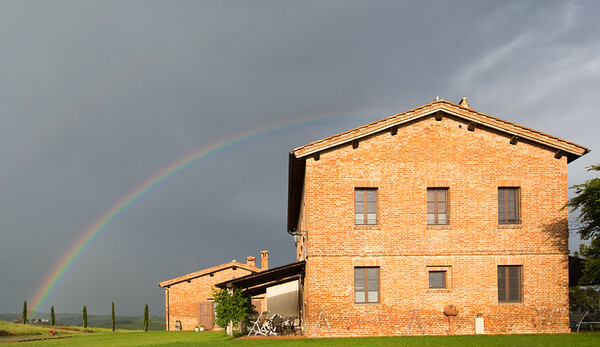 Rainbow over San Giovanni in Poggio, Tuscany. Taken with Canon 17-40 mm at 26 mm. Exposure was 1/800 sec at f/4.0; ISO 100.